← STOP INTERRUPTING MY NAPS!! Get in your crate and shut up, you’re going. That’s the conversation Felix and I had. Then he proceeded to scream all the way to the Vet’s office, much to Marla’s delight. Sorry about the poor photo, but there’s something I like about it. Nothing focused, poor lighting, shaky, blurry – all that went into the photo, and it shows. 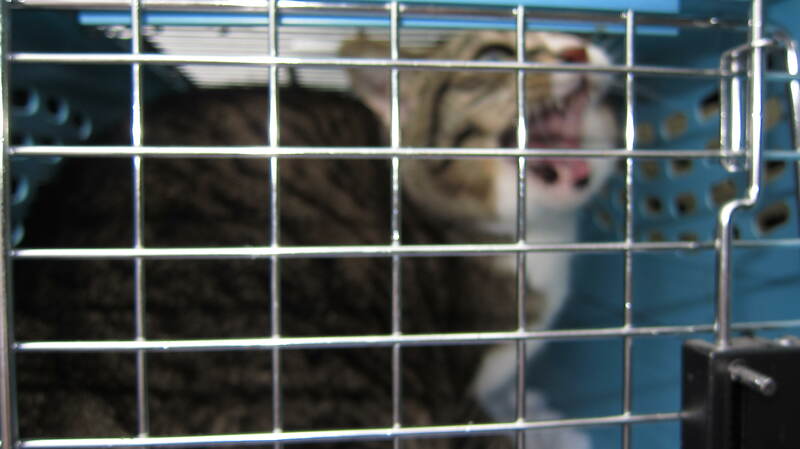 This entry was posted in Photo a day and tagged cat, Felix, not happy, vet. Bookmark the permalink. There is an org. called “SPCA”. I can help Cat dial them up and complain !!! !